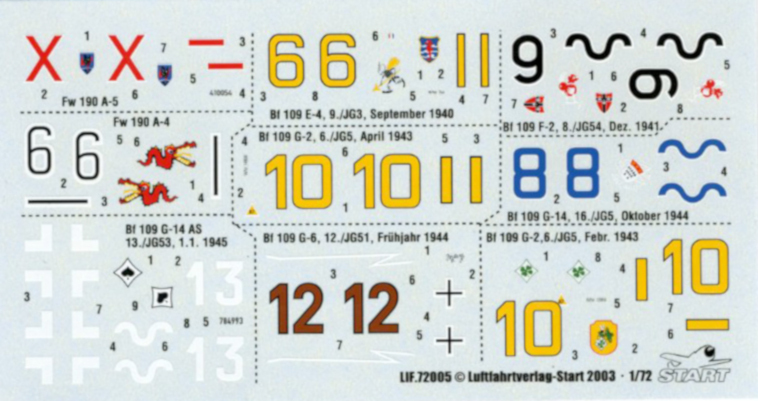 In addition to our publications, we offer (to 500 copies limited) quality decal sheets in the standards 1:32, 1:48, 1:72 and 1:144. 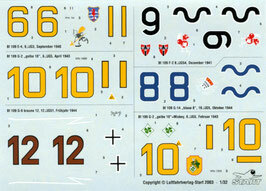 These sheets will not get reprinted, also in great demand. 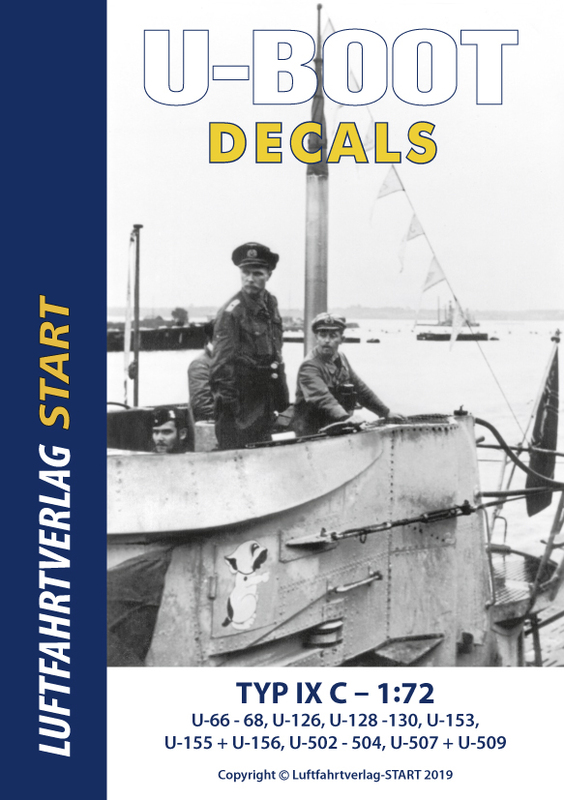 Each sheet includes decals for several special aircraft or submarines, referring to detailed information or photos from our magazines or books. 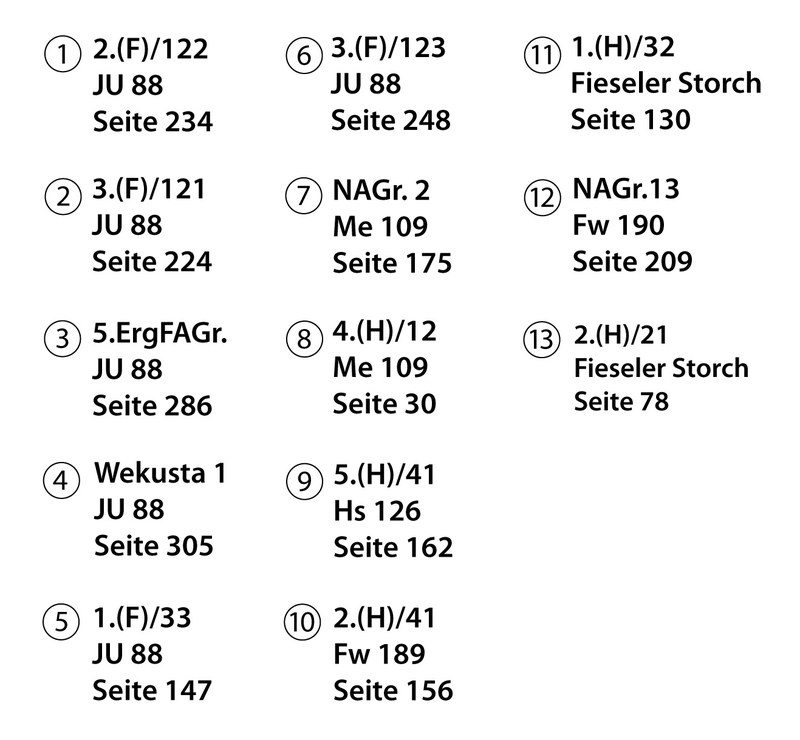 In the title of the sheet we name the publications. 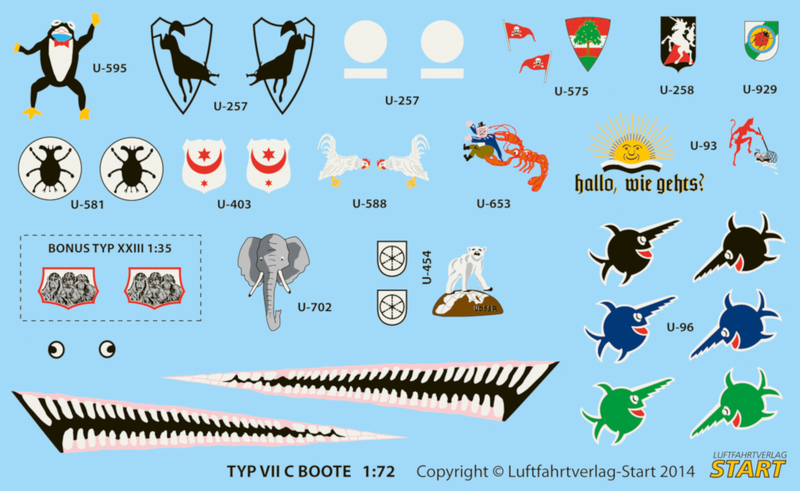 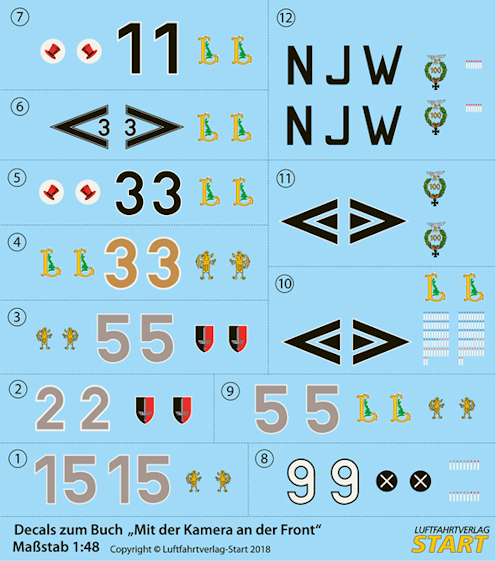 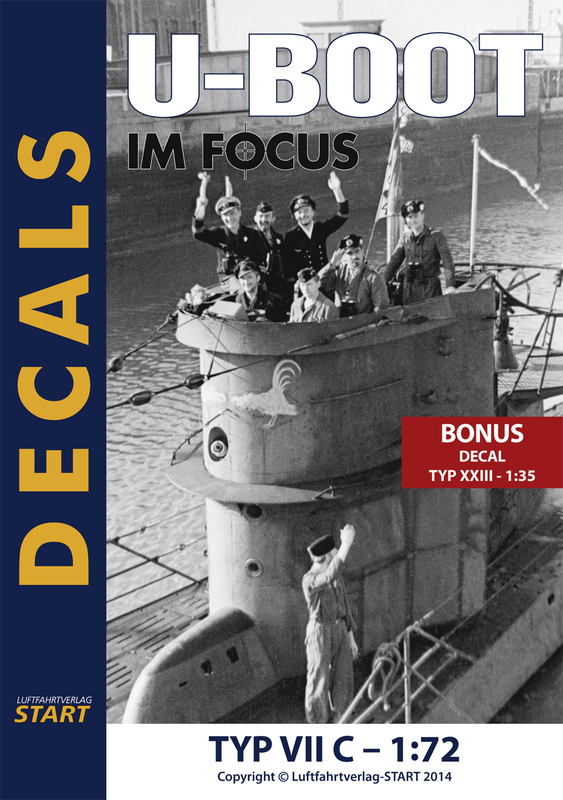 Decal-sheet for the new Revell model-Kit - early Typ IX C submarine German Navy. 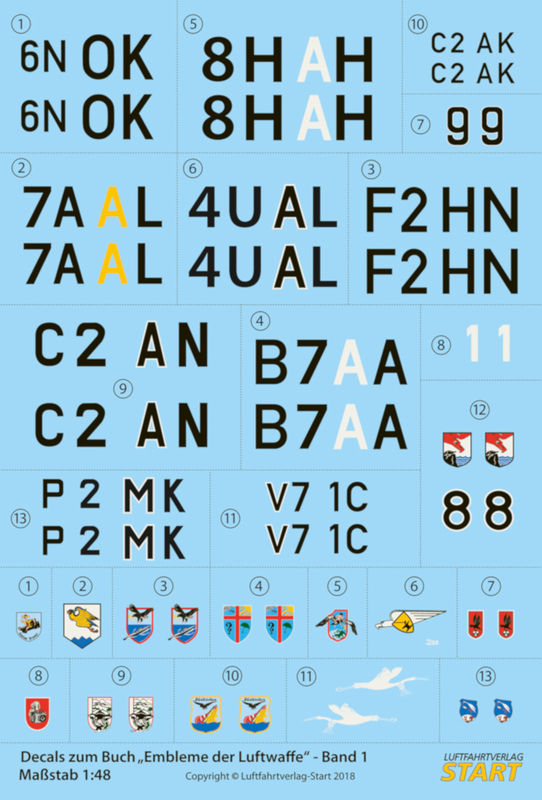 On the sheet you find the decals of all early boats, which are identical with the Revell kit. Emblems of other Typ IX C boats are not on the sheet. 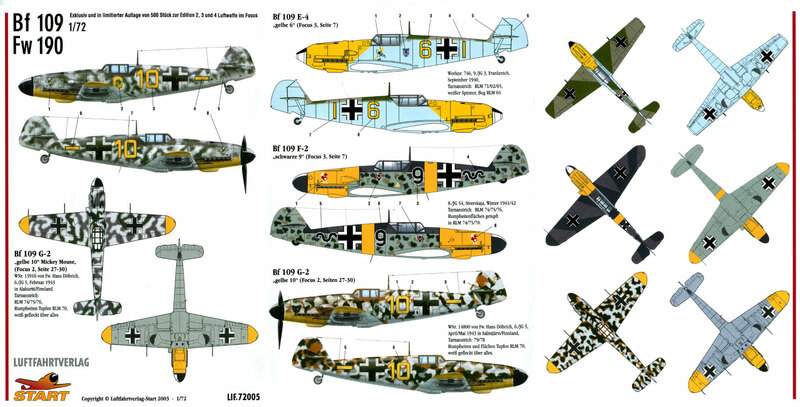 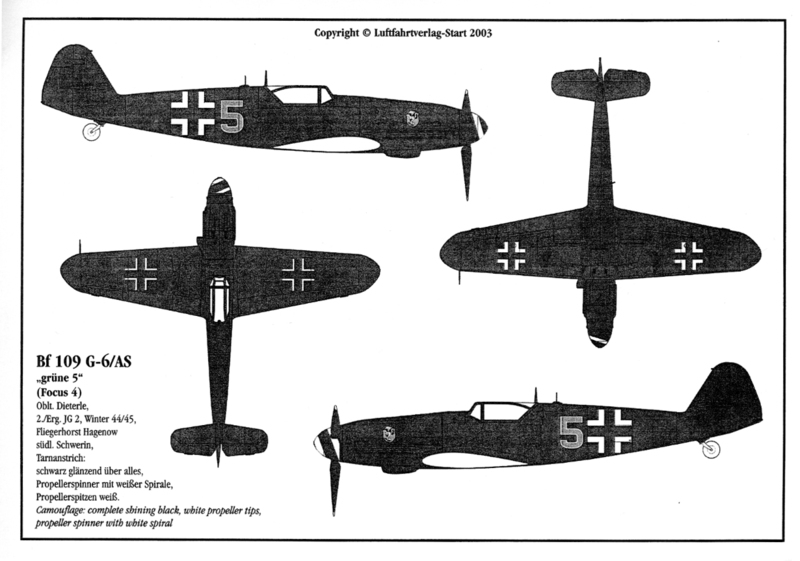 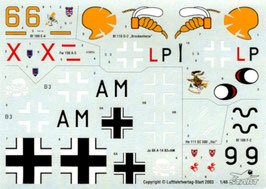 Decal-sheet with the best Bf 109 from the book "At the Front with His Camera". 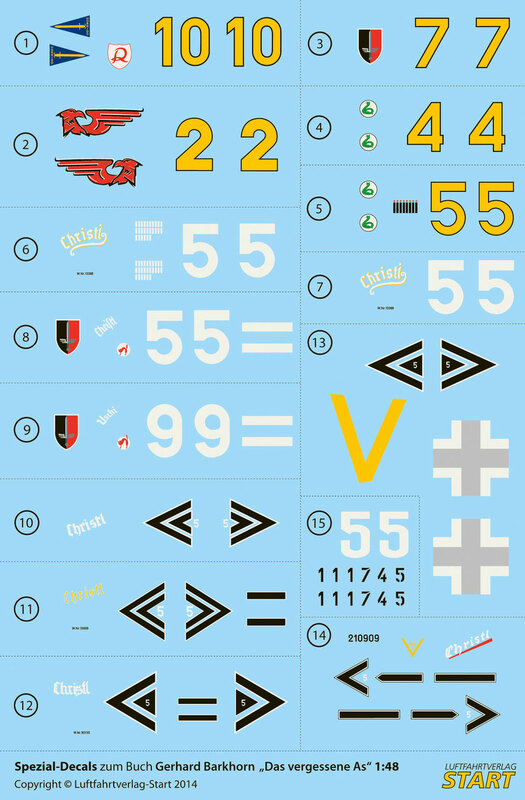 If you order book and decal together, the decal costs 17,50 Euro. If you order book and decal together, the decal costs 17,50 Euro. 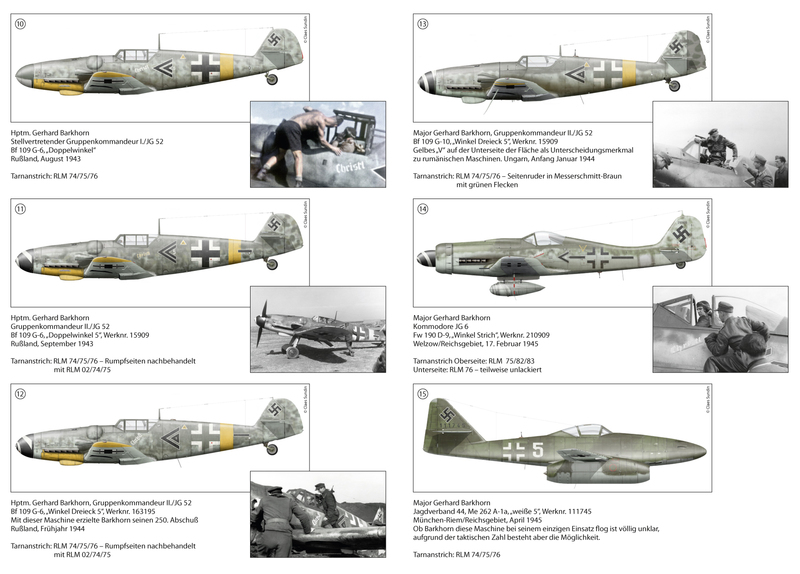 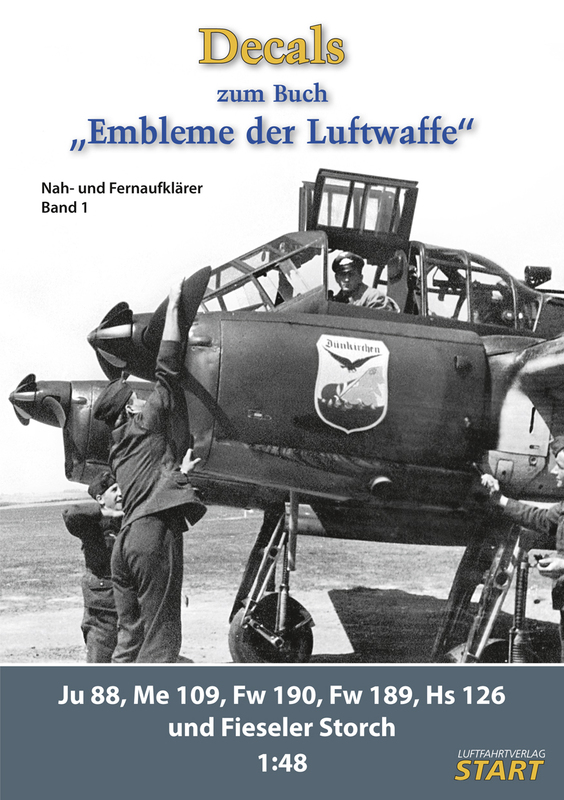 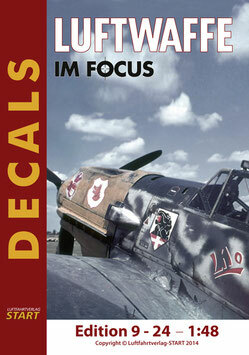 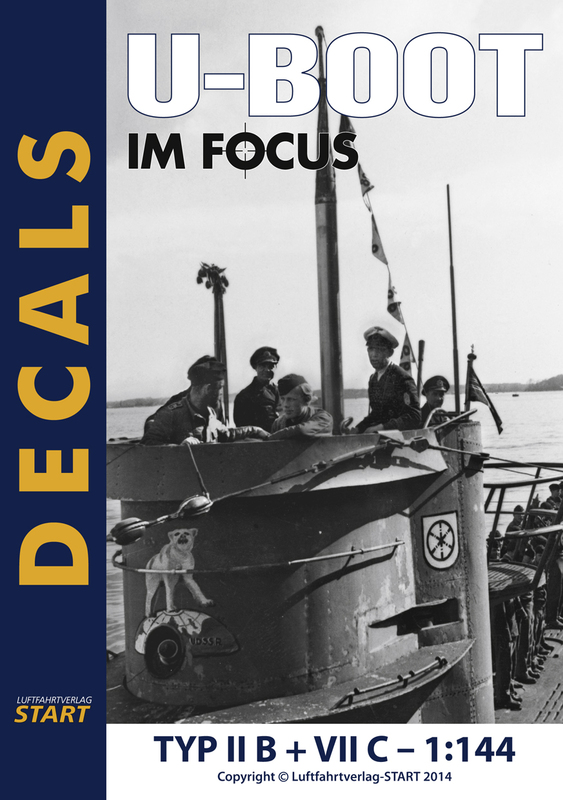 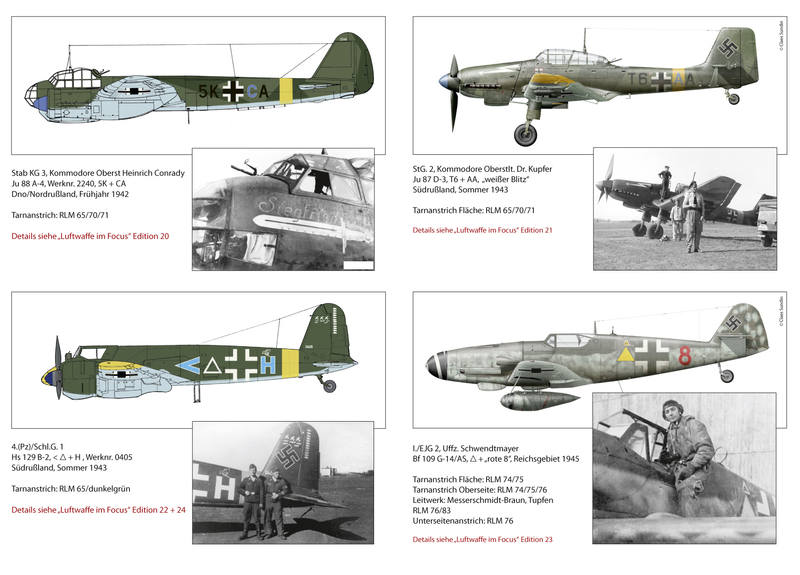 Decalsheet for Edition 3 of "Luftwaffe im Focus"
through photos in the Edition “Luftwaffe im Focus” 2, 3 and 4. 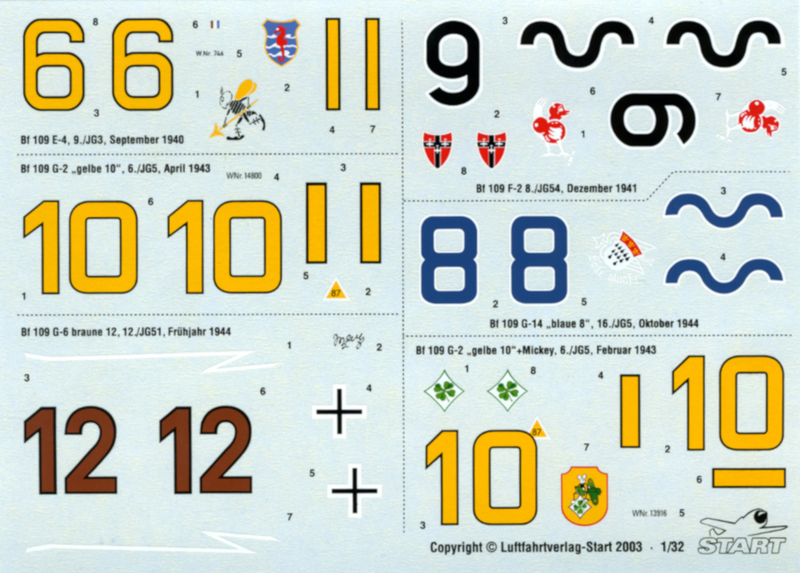 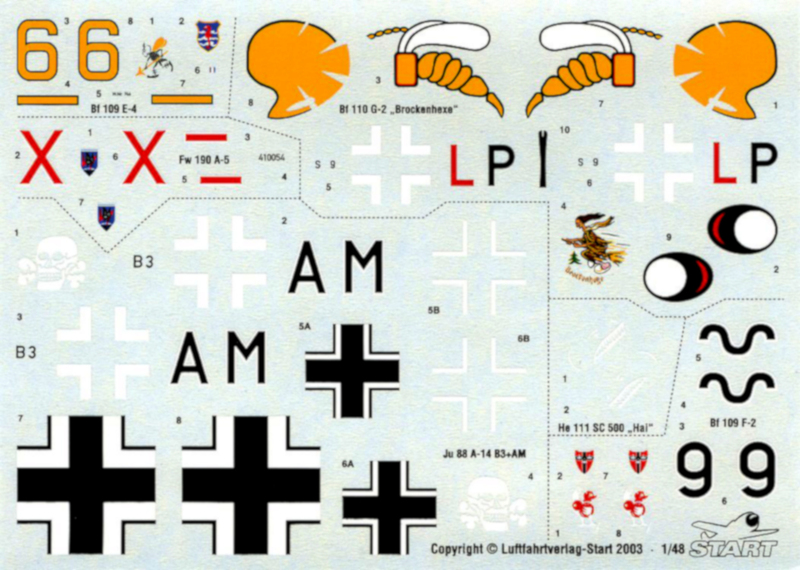 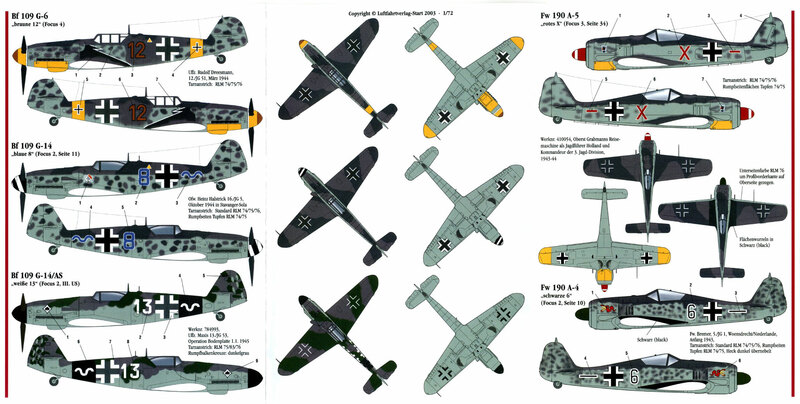 Decalsheet for Edition 4 of "Luftwaffe im Focus"
markings for Fw 190 A. 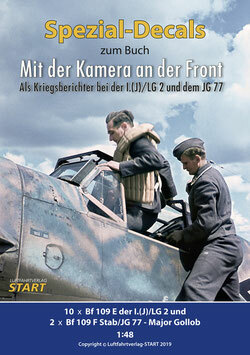 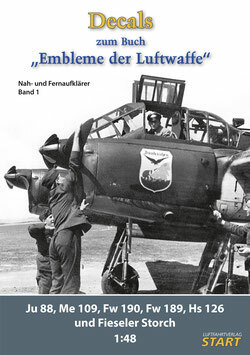 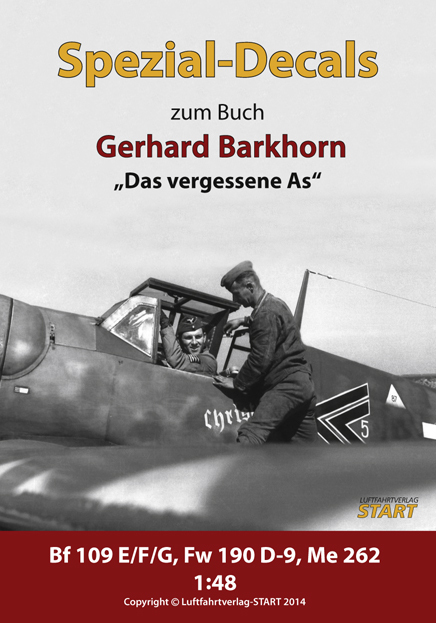 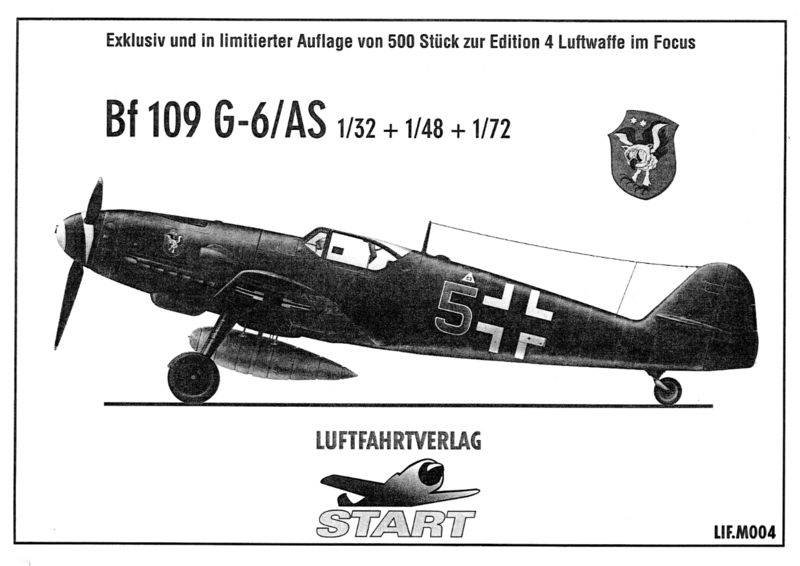 They are verified through photos in the Edition “Luftwaffe im Focus” 2, 3 and 4.